The end of the world is not behind the seven mountains and not at the poles of this earth. It is in Southern France, in the mountains of Luberon, and was a site of pilgrimage for te best climbers in the world in the 1980s the heard of Buouxis is beating in “Le Bout du Monde”, and the idea of vertical dancing condenses in “La Rose et le Vampire”. “Le Bout du Monde” – the end of the world – is located at the very right edge of the rock world of Buoux, one of the most famous climbing areas of the world. 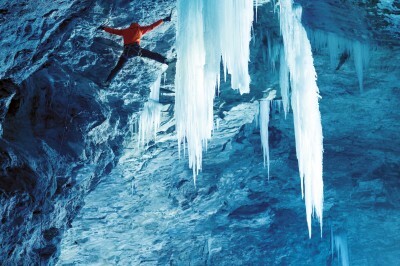 In the 1980s, climbing history was written here, and sports climbing was characterised essentially. 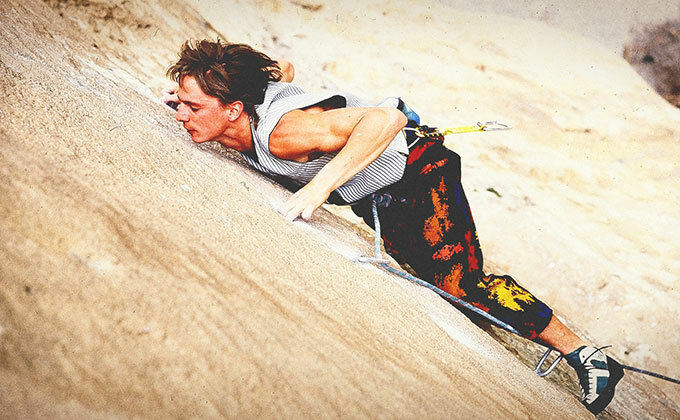 Patrick Edlinger, called “Le Blond”, made the news with his spectacular solo tours and difficult first ascents. The limestone rock in the Massif du Luberon near the town of Buoux is up to 200 metres high and had everything that climbers might wish for: delicately chiselled limestone plates, powerful overhangs, holes and strips – as well as a collection of the most difficult routes as they were quite unique in Europe at the time. 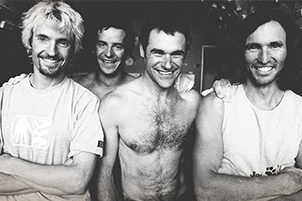 When “Le Gang des Parisiens”, a group of young, wild climbers from Paris, turned the rocks of Buoux into their playground in 1984, the era of the Xth degree of difficulty started there. «Yellow overhanging wall without any climbing route on the very right part of the wall» When the brothers Marc and Antoine le Menestrel, Jean-Baptist Tribout and Laurent Jacob finally discovered a yellow overhanging wall without any climbing route on the very right part of the wall, there was no stopping them. One route after the other was placed through the impossible-seeming wall – “Le Bout du Monde” had been found! 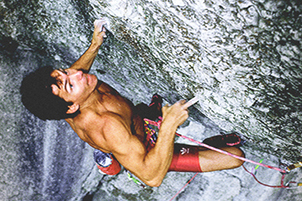 Back in 1985: Antoine Le Menestrel, the ‘danseur de façade’ who developed the esthetics of climbing into abstract perfection. Young meets old. 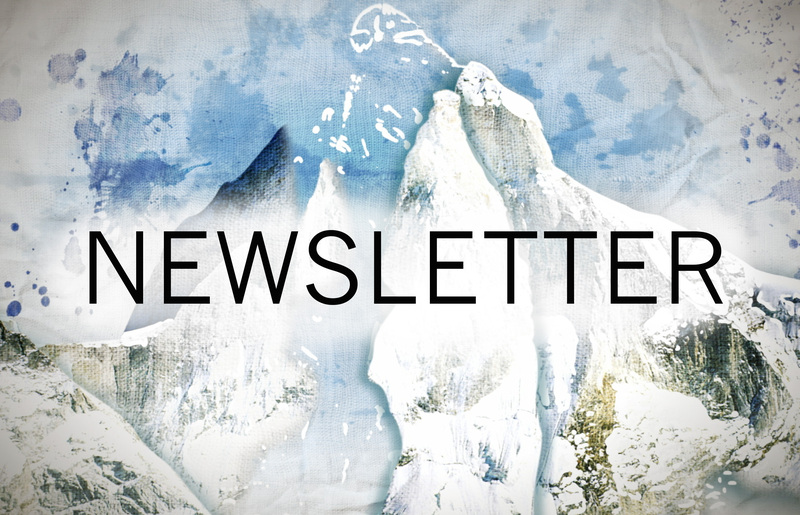 Two generations – divided by years, united by a common language: a shared passion for climbing. Explore the Golden Age of Rock Climbing!